How do you add a second name at IHG, when I do it increases the number of adults to 3? Trying to book a hotel for a friend for the Singapore GP using my points. There is a tiny button marked Extra Guest somewhere in the process which opens up a box if clicked. Only shows if you searched for 2 people originally. I take your point – I was having lunch at the Berners Tavern last year when there was a small fire and the whole hotel (London Edition) was evacuated. I ended up in the bar of the Sanderson Hotel opposite (all drinks comped by the Edition) chatting to a severely jet-lagged Israeli guy who had literally been pulled out of his bed! Sorry this was to John Brett above. Not a mattress run as such but a lesson learned for me. I was booked into HGI glasgow and was planning to stay the night. Checked in, had dinner and charged to the room, had to leave at 11.30pm for family emergency. Thought I was doing the right thing by telling reception I was leaving and handed the key back in. Long and short, no points as I had checked in and out in same day. Should have just left the key in the room and walked out…..
On that subject – don’t they offer points on a day rate? Any one know if you get a stay / night credit? Did a day-rate stay at the CP LHR after an overnight in a very cramped 747 from MIA.. We booked in advance on the condition that it was a qualifying stay – essential to complete my partner’s accelerate target – and all points credited as promised. I still have the e-mail assuring me that it would be a qualifying stay! 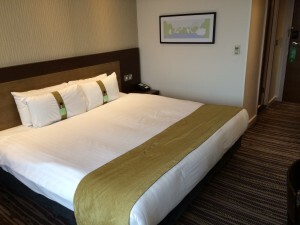 I did a 15 night mattress run @ Hampton corby when it was 5k points per night (4k when you take into account the 5th night free) when I was on a diamond challenge and it was 21 nights in 90D. Put a few drinks on my bar bill. Was on route to where I was going, so stayed one night, then was at football in Leicester on the 14d, so did a small trip, stopping there. Surely you don’t nick the regular Hiltons Rob…unless you want to smell like an orange! No, I leave those. Had a Roth mouthwash cause a security scare at Heathrow recently! I think you really shouldn’t promote explicitly such things as ‘mattress runs’ for a number of reasons. 4) it just shows that you are lazy and lacking imagination of just planning a mini break or a night out like a mini adventure for yourself. 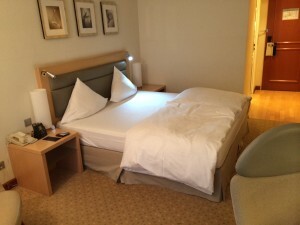 My partner and I often book hotel stays just to get bonus points or hit IHG Accelerate targets but we always do the stays and just get prepared for hidden gems and discoveries even in places which other consider superboring, such as Stevenage or Croydon. Maybe Rob you should let me write an article for you “How to avoid mattress runs and still get your points”? Yes, I actually am! Where is my invitation?? Hi, I do think you make a decent point here. I guess on the other side of your argument you could say that the room Rob booked lead to the hotel plan in one more housekepper and a waiter as per occupancy need.That is another person able to earn money for their family….Spend from an individual means income for another person. I have stayed in hotels were all linnen was changed every day, used or not…. every system or mechanism put up by companies will be exploited….its how it goes! Any room which selling cheaply enough for a mattress run is, de facto, 99.9% unlikely to be needed by another person which is why the room costs peanuts. Without getting into Keynesian economic theory too deeply, I am creating financial stimulus which benefits the entire country (versus keeping the money in the bank). Ok, let’s agree to disagree on this. Perhaps, I’m too much of an idealist against the sea of cynical pragmatic seasoned travellers. It would be useful then to see an article by Rob on how to do an airline run, i e check in, don’t show up for your flight and still get points. Guess it’s trickier than a simple hotel mattress run but could be useful in some situations. Agree? Thank you for your honesty Mike, I really appreciate it. What tosh. As for helping the poorest members of society: don’t take a shower and make minimal mess. The person paid per room to clean your room will thank you. So win win win all round. For those who work and don’t sit begging or blaming someone else for their problems. 1) If it’s in line with the T&Cs of the programme and offer, it’s not tricking the system. 2) Possibly, but unlikely that you’d be taking the absolute last room in an area, especially if you’re booking dirt cheap rooms, this indicates the hotels are expecting low occupancy %ages. 3) They won’t clean it if you don’t make it dirty. They won’t do your laundry, as you presumably won’t bring it with you from home, and if you did you’re just creating more work for yourself, as you’d need to go back to collect it. I’d go to a launderette instead. 4) This is specifically for times when you can’t achieve it around other means – nobody books these things if there’s a viable alternative, if you can fit in a mini break, or even a decent night away, then why not, but if it doesn’t work for you, and the benefits of making the mattress run are still worth more than the cost of the room, then why not? 5) My response to 3 is obviously tongue in cheek. I do both where necessary. Unfortunately mattress runs just aren’t viable where I live, hotels are far too expensive (chain hotels anyway), but I will squeeze them in in Asia where necessary, or change hotels multiple times in a single trip to take advantage. Mileage runs I do get involved with, as my normal travel wouldn’t get me Oneworld Emerald – however the cost of five pointless segments on business class sale tickets bouncing around Australia, around $1,000 at the time, is worth the benefit to me. I cause more damage to the environment/world on my commute to work than a hotel mattress run. Thanks for your detailed answer – at least it has its arguments which I respect, accept and can even partly agree with! A little bit of tongue and cheek is also great! I’m now waiting for an article from Rob on how to do a ‘mileage run’ – basically, how to check in, NOT to fly the flight and get your miles. This would be a high pilotage than a paltry ‘mattress run’. Maybe you also did this in your yield for miles/status? That would be REALLY interesting to know from the pure scientific point of view of course! Are you my boring neighbour? I’d have thought you could have challenged that as discrimination based on sexual orientation (a protected characteristic in law) as it was another man, rather than a woman. With my then partner (not married different surnames) reception welcomed us once (nice Hotel in Edinburgh) Mr and Mrs Surname? I replied no Doctor Taysum and Mr Surname. We’re delighted to be here. Thanks for your lovely welcome. They smiled a little embarrassed and checked us in with aplomb. I always show up and stay for my “mattress runs”. Being officially resident in UK but actually living mostly in SE Asia means I can leverage western priced promos into Asia priced stays and sometimes reap astonishing value. Note about check out – I always check out at the front desk. I hear stories about guests being charged for additional nights – something that takes unnecessary time and effort to tidy up after the event, particularly if in a different country. You should make the effort to get your invoice locked down and finalized on site to avoid this possible inconvenience. What do you mean about leveraging western priced promos into Asia priced stays? ooh, err, so you actually have to turn up at the hotel! That is a surprise, I’ve only done mattress runs a couple of times and both times by mistake (booked the wrong weekend). Each time I have digitally checked in … and had the stay and the points credited. Don’t forget about Day Rate bookings, if we’re talking about status qualification. At least for Hilton, day rate bookings count for 1 stay/night, and they’re often significantly cheaper than any overnight. Regarding the Marriott Platinum Challenge (I would have posted a comment in that thread, but seems to be too old/I can’t comment in it). I have to spend about 12 nights in Panama City in November, and there are 10 Marriott/SPG hotels all within 1.3 miles of the city centre. Am I right in thinking that if I were to flit from one to another, based on cost and/or appeal, but not spending two consecutive nights at any one of them, then I’d have successfully completed the challenge by the end of that trip? Yes but …. the challenge is currently suspended and we don’t know if / when it will relaunch (it may happen now the schemes are finally merged). Note that you MUST be Gold to trigger the Platinum Challenge, which means getting Amex Plat and claiming the free Gold which comes with that. Thanks Rob, much appreciated. I already have the card & gold. Prior to the challenge being suspended, to your knowledge was it generally available going back over the last few years, or did it go through many cycles of appearing then disappearing? Was permanently there. However, with an influx of Plats for Starwood (and the new lower 50 night threshold vs 75 nights previously) Marriott may feel they have enough Plats for a while. Does anyone know if taxes on Aer Lingus reward flights are still cheaper when booking with British Airways on the phone rather than avios.com? Wanted to check here first because the last time I called I was charged £7. Long-haul I believe so, not for short-haul based on the last example I saw. Very little evidence to go on though.